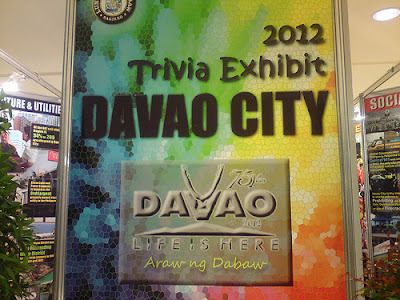 Make It Davao: Davao Life is Here! 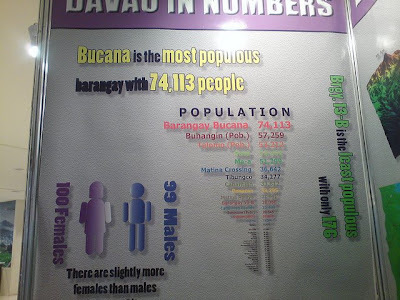 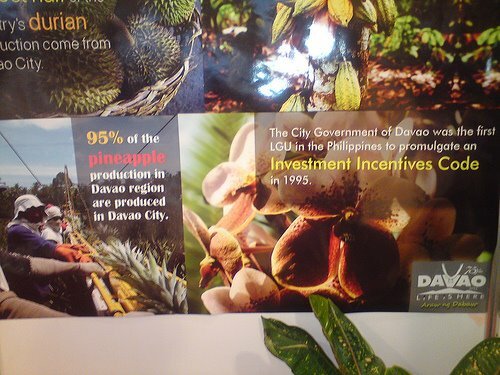 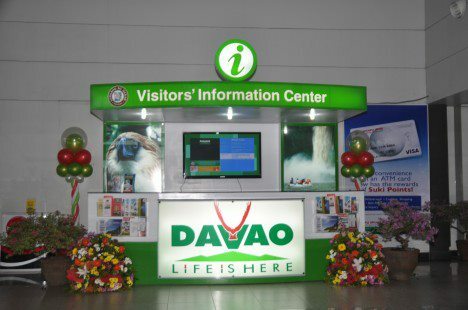 On September 21, 2011, in its efforts to boost tourism and create awareness among Dabawenyos to support the many initiatives of the city, the city government of Davao launched its campaign, "Life is Here". The launching was spearheaded by no less than the city mayor herself, the Honorable Mayor Sara "Inday" Duterte-Carpio, and attended by foreign diplomats, businessmen, government officials, and the media at the Grand Menseng Hotel. 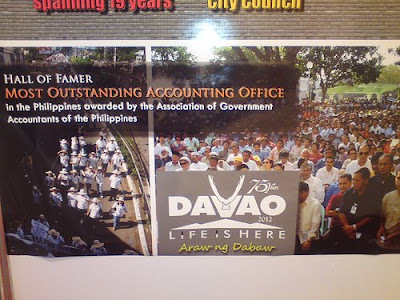 In her speech, the good mayor encouraged every Dabawenyo to take to heart the city's efforts to promote Davao City as a major tourist destination not only in the country but in the entire Asia. The city government reportedly spent Php 1.5 million for the branding campaign. 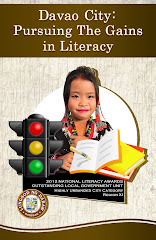 Promotional materials were released for a total ad campaign utilizing all possible media coverage for publication and airing on television commercials, print ads, brochures, the Internet, and all other avenues where the campaign may be known and exposed to the public. The Visitors’ Information Center at the Davao International Airport was also inaugurated by the city government which now serves as information desk for tourists visiting the city. 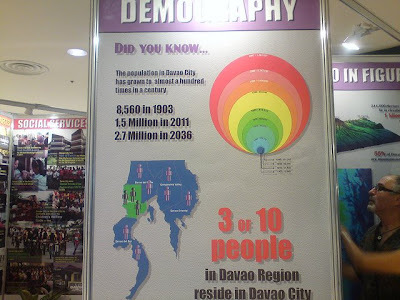 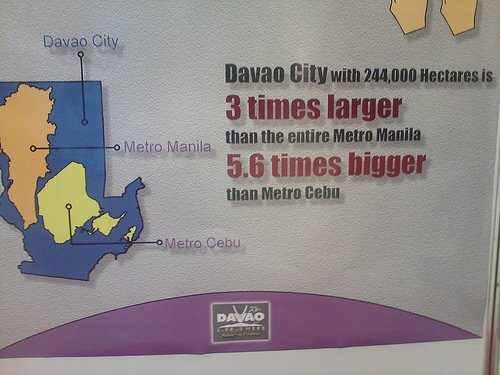 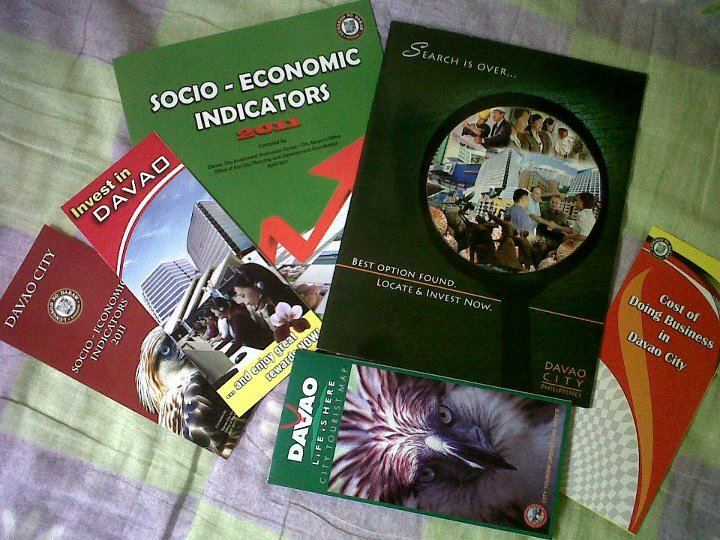 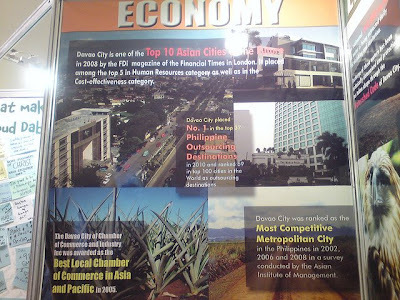 Here, the Davao City Tourism Office distributes travel guides and city maps to tourists. Several brochures from restaurants and resorts are also available at the booth. 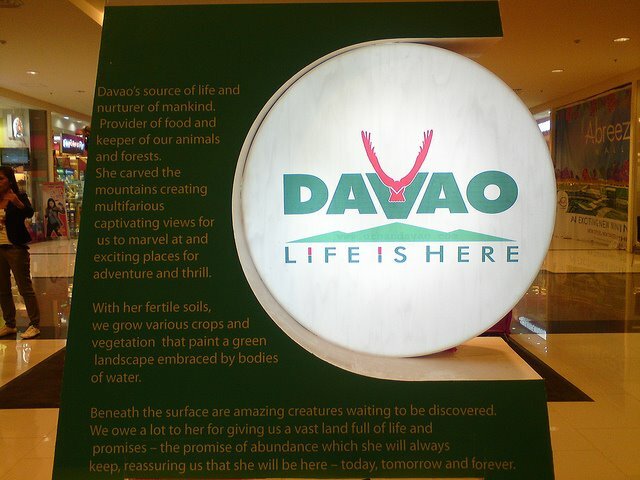 The logo which bears the "Life is Here" tagline was designed by Rey "Bai" Manginsay, a brand expert and a creative consultant for marketing and advertising, who personally chose the great Philippine Eagle as brand identifier because of the very strong image it projects as it symbolizes power and unity. 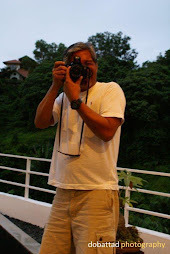 Bai Mangisay is a resident of Davao City and has been creating world-class advertising packages for British Airways, Philippine Airlines, Cathay Pacific, British Calendonian, and Saudia for almost 27 years now.